Cambodia Mine Action Center (CMAC) in Cambodia has committed to another year of partnership. On December 17th 2018, APOPO Program Manager Michael Heiman and CMAC Director-General, His Excellency Heng Ratana, met in Phnom Penh to sign the memorandum of understanding (MoU) for the continuation of APOPO’s Mine detection Rat (MDR) and CMAC mine clearance operations in Siem Reap province in 2019. 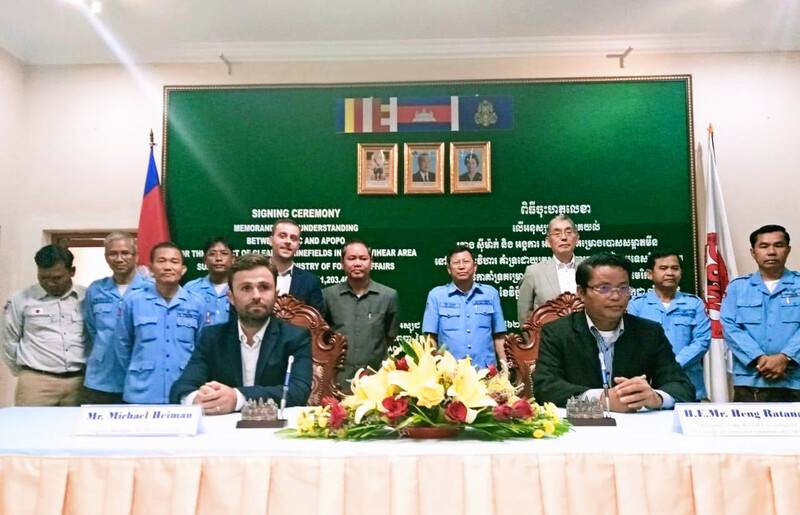 Earlier this month APOPO signed another MoU with CMAC for the mine clearance project in Preah Vihear province, and began working in two provinces in parallel for the first time. About half of Cambodia’s minefields have been cleared and yet it still remains one of the most landmine impacted countries in the world. Leftover landmines and explosives from conflict are still a major hindrance to the social and economic development of the country. They prevent access to fertile land for agriculture, sources of water, they travel routes and isolates communities preventing vital access to health services. They also impose financial and emotional burdens on families needing to care for a landmine survivor. Ratana expained that CMAC has been integrating mine detection rats into its programs since 2015 and has achieved remarkable results. He hopes this partnership will enable clearing over 1,500,000 m2 in 2019. As part of an integrated capacity, mine detection animals will significantly increase productivity and allow the return of much needed land back to affected communities more quickly and cost-effectively. APOPO is very grateful for the continuing partnership with CMAC and is looking forward to another year with great accomplishments. APOPO Cambodia is deeply grateful for the support and generous contributions of its partners and donors.